Well its been a little while since I last did a Blue and White Wednesday! There is so much amazing blue and white out there that it is hard to narrow it down to one post a week! 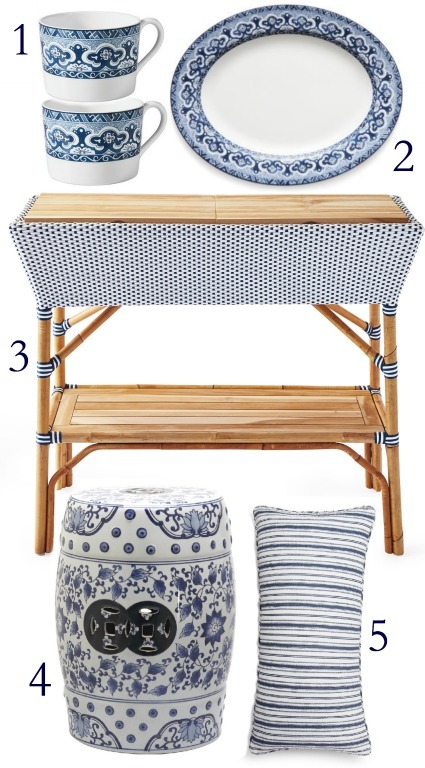 But today I wanted to share some blue and white items that I have been dreaming of. 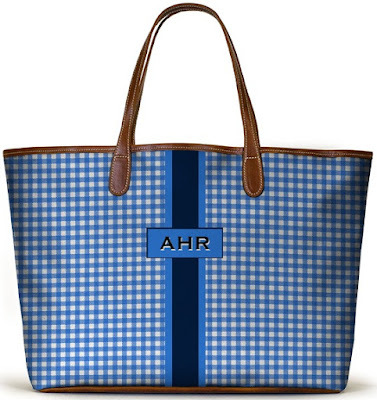 I love every single one of my Barrington Totes, and their new spring monogram collection is no exception. There are so many options to choose from, but I am in love with the gingham! Have y'all seen Ralph Lauren's Empress china?? It is truly amazing. The perfect mix of blue, white and a classic pattern. Wonder if I can talk my husband into getting me yet another china collection? Summer is pretty much here in the deep south, and I have been dreaming about sprucing up the back patio. This bar from Serena & Lily is amazing. It opens up and you can store ice and drinks in it. I think it would look perfect along with a garden stool and these pillows! This isn't really all about the blue and white, but these go perfectly with blue and white! The bamboo babies arrived in the mail yesterday and I am already in love. They are going to get so much use this summer. I cannot wait to style them.